It clearly appeared necessary to share the vision which has guided the founders. 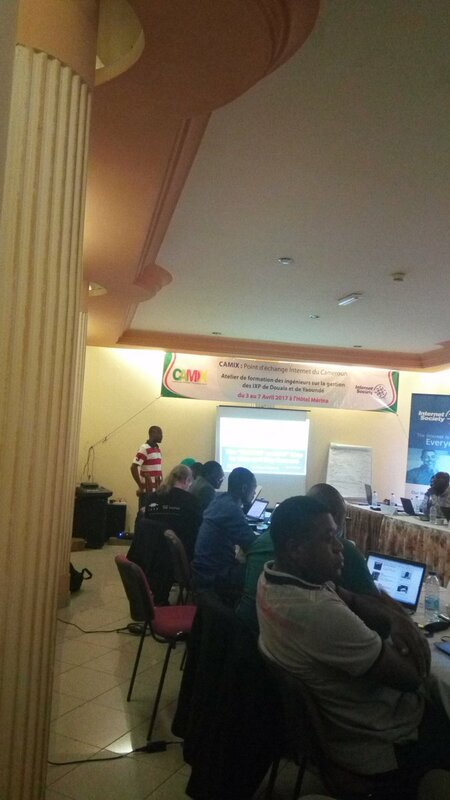 Since The cmNOG is in a restructuring process, it's important to bring together all stakeholders from network engineering in the Cameroonian Internet ecosystem. Hoping these informations could help you to know the cmNOG like the founders and get involved in the purpuse of driving the next changes. Any individual voice count equally, so come  peers your mind and thoughts to rebuild the cmNOG as a more sustainable NOG we can imagine. Sylvain presenting the "Reboot cmNOG" project during a session reserved for the cmNOG, on 04th April 2017, at the CAMIX Training.